Want a free trip to Las Vegas? More importantly, do you want to meet Kelly and Ron and be on the show? How about a chance to shadow the man who literally wrote the book on Paramedic Care, Dr Bryan Bledsoe, on a shift in the ER at a Level 1 trauma center in Las Vegas, and you know Vegas gets cases you won’t see anywhere else. EMS and the Social Media Revolution: How has blogging, Twitter, Facebook and podcasting affected your EMS experience, and how do you see it shaping you in the future? As an EMT student or newbie, has social media changed the way you study or learn, or the way you approach your profession? Has social media been a positive influence, or a negative one? 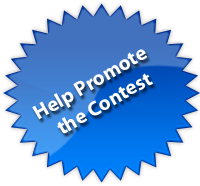 Give us your thoughts – they may win you a trip to EMS World Expo in Las Vegas! 1. Contest limited to newbies. Submission limited to EMT students or less than 2 years experience, verified by either their instructor or copy of card/certificate with original date of certification. 2. 400-600 words, double spaced, 1 inch margins, 12 pt font, MS Word or PDF format. 3. Submissions accepted from May 1 through midnight on June 1, submitted on the EMS Newbie website. (Submission page available starting May 1). 4. No names in your submissions. Do give the paper a title and put that in the actual document and the submission form. You can submit your essay here at the contest submission page. 1st Place: All expenses trip to EMS World Expo in Las Vegas. A 3-day conference registration and three show events (provided by EMS World), and a shift shadowing Dr Bryan Bledsoe at University Medical Center ED. Airfare supplied by Emergency Training Associates, and lodging supplied by Cielo Azul Publishing. The winner also gets a 1-year subscription to EMS World magazine, and appear on one of our live webcasts from the conference. 2nd Place: 1-year subscription to EMS World and fully stocked first responder BLS trauma bag. A customized Confessions of an EMS Newbie case for your iPhone, or other smartphone. A signed copy of En Route: A Paramedic’s Stories of Life, Death, and Everything in Between by Kelly Grayson. 3rd Place: 1-year subscription to EMS World and fully stocked first responder BLS trauma bag. Stay tuned to the podcast and this page for additional information and new prizes. The Fine Print: Detailed Rules of the Contest.